Resin Mini Shield Pool 8 Ball Trophies. This great resin award measures 95mm high. 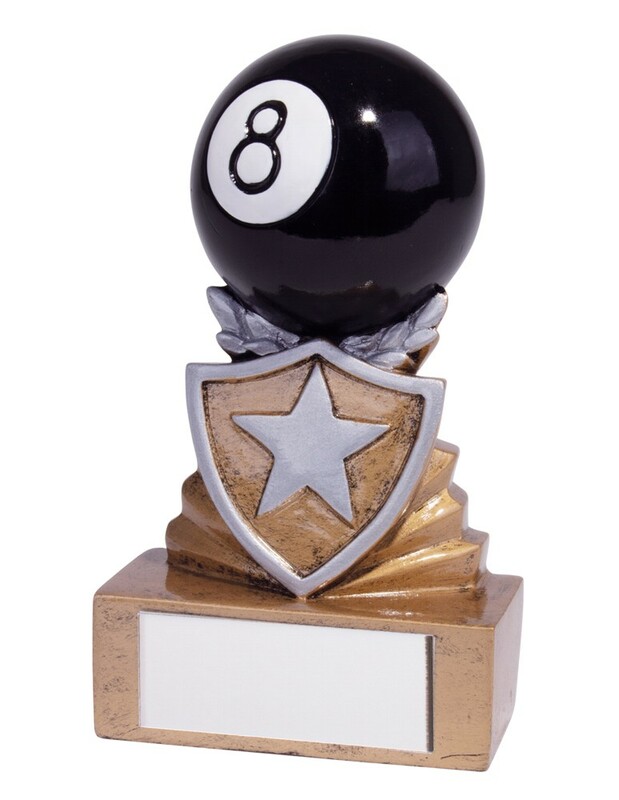 In a classic gold finish with silver detail and a black 8 ball. A perfect solid resin award to reward your players!